Very few players would deal well with the responsibility of replacing N’Golo Kante at Leicester. 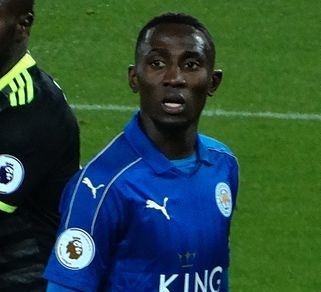 Wilfred Ndidi arrived at the club in January with exactly that job, and it’s fair to say he’s been instrumental in their revival. As much as Craig Shakespeare should take credit for the Foxes’ run of six wins in a row in all competitions, the Nigerian has made them look a lot less shaky in the middle. It’s only taken a few months for suggestions to appear in the papers that the midfielder is attracting the interest of Arsenal and Manchester United. The Mirror suggested on Monday that both clubs were monitoring Ndidi, with Arsenal having tried to sign him before. That speculation is likely to be short-lived, however, as the former Genk man has taken to Twitter to dispel the rumours. Many fans would have expected a far more guarded answer, but it’s great to see him reiterating his commitment to Leicester already.